Do you feel sad, hopeless, and lacking in energy and motivation? You may be suffering from depression. But what is depression, and how is it best treated? What is depression? It is a common but serious mood disorder that with appropriate treatment can be overcome. First, is depression a disease? Strictly speaking, it’s not a disease like malaria or diabetes, which have one specific cause. Rather, it’s a disorder or illness that disrupts mental function. According to the Centers for Disease Control (CDC), more than 1 in 20 Americans aged 12 years or above have had moderate or severe depressive symptoms in the past two weeks (2009-2012 data). 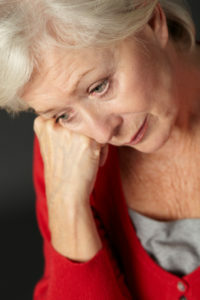 One in 15 adults (6.7 percent) will suffer from depression each year, and one in six (16.6 percent) over their lifetime. It is twice as common in women. According to the National Institutes for Health (NIH), depression has many symptoms. For clinical diagnosis, symptoms must have been present most days in at least the past two weeks and must cause significant distress or problems with daily life. Beyond Depression, What Else Could It Be? Certain medical conditions can mimic depression, among them thyroid problems, a brain tumor or organic brain disorder, anemia, or vitamin deficiency. Depression symptoms also may be an early sign of dementia or other chronic illnesses as well as a side effect of some medications. There can also be an overlap with grief and depression. However, with grief alone, sadness comes in waves and self-esteem is often spared. Grief can sometimes morph into depression. The precise mechanism that causes depression is not fully understood. Current research points to a complex interaction involving neurotransmitter levels, neurotransmitter receptor regulation, and sensitivity to emotions. If you think you may be battling depression, your first step should be to see a psychiatrist, physician, or nurse practitioner. He or she will ask you a series of questions and sometimes get you to complete a questionnaire. They might perform a physical evaluation and blood tests to exclude a medical problem. Fortunately, depression is one of the most treatable mood disorders, with up to 90 percent of people recovering with no treatment or with antidepressants. Antidepressant medication may help correct the neurochemical imbalance within the brain. These are not sedatives, tranquilizers, or “uppers,” and they should not affect your personality. They are not addictive. It may take between two to six weeks for depression to begin to lift. Antidepressants will usually be prescribed for at least six months and some people require long term treatment. Children and teens can have adverse effects to antidepressants so should be monitored closely. Psychotherapy, or “talk therapy,” can be used in some people with mild depression and in conjunction with medication in more severe depression. Cognitive behavioral therapy (CBT) is a form of psychotherapy that has been extensively researched and found to be effective in depression. It involves learning to challenge distorted or negative thinking, has been found to be effective in treating depression. CBT is a form of therapy focused on the present and active problem solving. Psychotherapy can be the individual alone, the family or a group of other patients. Treatment may last for several weeks, with significant improvement usually being seen in 10 to 15 sessions. ECT or “shock therapy” is a form of stimulation treatment used in patients with very severe depression or bipolar disorder that doesn’t respond to medication. The patients receives several sessions of brief electrical stimulation, while under anesthetic. There are several things you can do to improve your mood and for long-term improvement it is advisable to incorporate these into your treatment plan. Lifestyle changes might include: Regular exercise, a plant-based diet, a good night’s sleep, meditation and mindfulness, and doing activities that make you feel happy. If you are having suicidal thoughts: Call your doctor or the National Suicide Prevention Lifeline at 800-273-8255.
anemia, antidepressant, antidepressants, appetite, battling depression, bipolar disorder, brain, brain tumor, causes depression, causes of depression, children, clinical depression, cognitive behavioral therapy, dealing with depression, dementia, depression, depression medication, depression symptoms, depressive disorder, depressive symptoms, diabetes, diet, difficulty sleeping, dopamine, exercise, fight depression, fluoxetine, for depression, health, hopelessness, how to fight depression, is depression a disease, major depressive disorder, medical conditions, meditation, meditation and mindfulness, mental health, mild depression, mindfulness, mood, neurotransmitter, organic, personality, plant based diet, sad, selective serotonin reuptake inhibitors, serotonin, serotonin reuptake, serotonin reuptake inhibitors, severe depression, side effects, sleep, stress, suicidal thoughts, symptoms of depression, thyroid, treating depression, tricyclic antidepressants, tumor, vitamin, vitamin deficiency, vitamin deficiency depression, what is depression, what triggers depression.